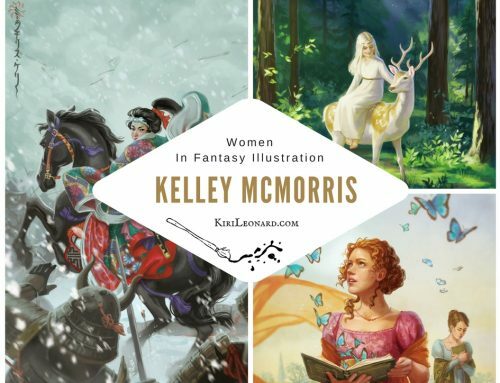 Welcome to the Women in Fantasy Illustration interview series. 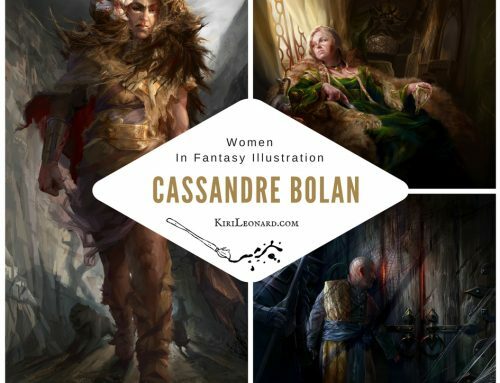 I am interviewing a selection of women who work in the Fantasy Illustration Industry. You will find the links to more interviews at the bottom of the page. I’m very pleased to share with you today’s interview with Heather Hudson. 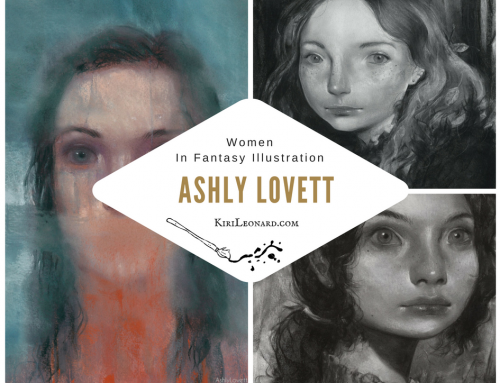 Some of you may know her from her work on Magic The Gathering, but let’s get right to it. Enjoy! I’m Heather and I make pictures. My brand can generally be summed up as “I like monsters,” and the major personal project in my studio right now is an art poker deck inspired by early 20th-century Adventure Fiction; I’ll try to fund it on Kickstarter later this summer. In gaming, many people know me best from my work for Magic; the Gathering between 1993-2007. I’m Heather and I make pictures. 2. 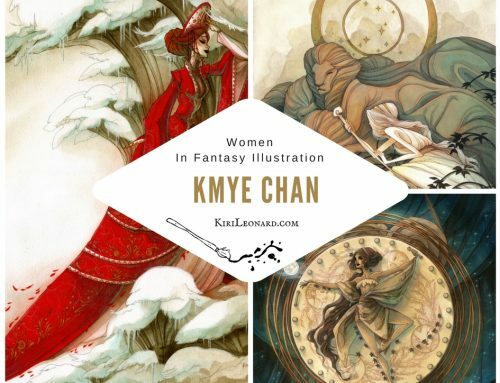 When did realize you wanted to make a career out of illustrating? Around the time I finished work for an MFA in Costume Design, back in the early 90’s. I remember looking at a Green Tiger reprint of Yoshitoshi’s “36 Ghosts” and thinking that it would be heaven to draw pictures all day and not have to build them afterwards. (…) it would be heaven to draw pictures all day and not have to build them afterwards. 3. What difficulties have you faced in transitioning into becoming a professional artist? Not nearly enough. 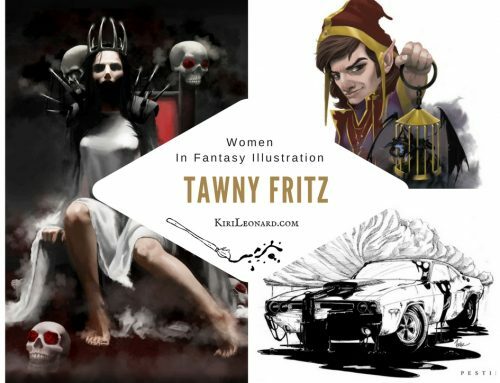 I entered the rewarding, hi-paying career of Magic illustration very early, at a point where most would-be artists would have been grinding through their 10K hours of leveling-up and career building. Staying a professional, however, takes constant work to improve my skills, build a social network, and learn enough modern technology to maintain a web-presence. Staying a professional, however, takes constant work to improve my skills, build a social network, and learn enough modern technology to maintain a web-presence. 4. What do you like the most about illustrating? I love going through a text and sorting out the images and implications, finding the underlying themes and building illustrations that reinforce the author’s message. It resonates! The failure between potential and actuality, no matter how well the project is realized. The money’s not great either. 6. Please tell a little about your process and your choice of medium. I draw my sketches in pencil, set the painting up in Photoshop and do my brushwork in Corel Painter. I’ll do preliminary studies in pencil or digital paint to understand my reference photos, especially complex structures like faces and hands. I believe in value studies and color studies, though I need to do more of them. Lately I’ve been experimenting with a fairly direct application of digi-paint, inspired by pulp artists like J. Allen St. John and Norman Saunders, but I think when the Adventure Fiction project is finished I’ll be back to doing more underpainting. 7. You are a digital artists with a traditional background. What made you make the move from traditional to digital and what are some of the benefits and drawbacks for you? A few years back I realized that I wanted the speed and flexibility of digital painting. I was doing a picture book, alternating day and night scenes in the same location, and it struck me that (a) I loved the idea of what I was doing all to pieces, and (b) that I was really struggling to get it done in traditional media. Digital media could have addressed my needs and those of the project much more efficiently than acrylic. Also, I have not inherited the best eyes in the world; being able to hit Command+ is a great help these days. I don’t have original paintings to sell now, but that was never the point. I just want to make pictures that tell stories. 8. Who are some of your artistic inspirations and what do you admire in particular about them? N.C. Wyeth, for his tone composition and the urgent energy that he could put into simple but precisely drawn forms; “Old Pew” is one of my favorite paintings. Tsukioka Yoshitoshi, for the skittering energy of line that reads through the woodblock print process. St. John and Saunders, Rafael de Soto and the pulp artists in general, for the dynamic action and unambiguous drama that they cranked out. John Singer Sargent for seeing things beautifully and painting what he saw, not what he knew to be there; in one of his portraits there’s a pair of glasses described only by highlights and shadows and yet we see the glasses anyway. John Bauer, for his sympathetic handling of monsters. And I have a great fondness for both the floral painter Rachel Ruysch and her father, anatomist/artist Frederick Ruysch — they had long, productive lives, they must have been great characters, they were both highly skilled professionals who defined new genres for themselves, and I suspect them of being happy people. All of it, really. Some of it twice, if I didn’t get it the first time. Both “first value then hue” and “life is short, art is long” are important to me, in different ways. “Get royalties” is good too. (…)“life is short, art is long” are important to me, in different ways. 10. What are your hopes for the future of your career? I feel like I’m starting to work well enough with my tools so I can focus on making pictures instead of using the tools. In a lot of ways, my personal digital work has been about the process of learning to digi-paint, and up to now that has been a rather dark and fraught experience. Now I’m at the point where I want to tell stories with my pictures, and I want those stories to make their viewers happier and better people, which is the point of stories. Now I’m at the point where I want to tell stories with my pictures, and I want those stories to make their viewers happier and better people, which is the point of stories. I love illustration, bless its tiny, under-paid heart, but I don’t think it’s going to sustain me now — there are so many talented people to work on a limited number of projects and the rates always seem to go down. Meanwhile, there are new ways to monetize personal work directly that weren’t available twenty years ago. So my goal at this point is to build a body of work that makes me happy and inspires others, and refine the key elements to establish a brand for myself. Since my work is getting to the point where it has a consistent look and feel from piece to piece, I’d rather build a universe of my own to illustrate than build a portfolio to maybe win a gig illustrating someone else’s. I’d rather build a universe of my own to illustrate than build a portfolio to maybe win a gig illustrating someone else’s. Thank you for reading, I hope you enjoyed this interview with Heather Hudson, if you did please share it with your friends!